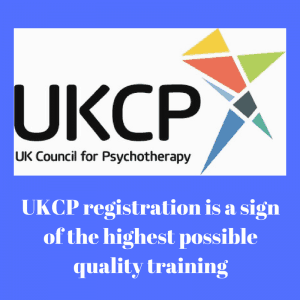 Overcoming the effects of emotional abuse: hypnotherapy in Reading, Wallingford and Oxford. Emotional abuse and hypnotherapy in Reading, Oxford, Thame and Wallingford. People sometimes find this hard to imagine. I’ve used hypnotherapy to help clients for this problem in Reading, Thame, London, Wallingford and Oxford. They often tell me that they ‘should be over it by now’. However, our earliest experiences stay with us for life. They are the foundation upon which our self-esteem is built. If we are led to believe that we are unworthy in our youngest years then we absorb those beliefs and make them our own. No amount of telling ourselves that ‘I should be over it now’ or ‘that was years ago, surely it doesn’t matter’ will undo the damage done. Self-esteem is built in children through the experience of unconditional love. Parents who help you to understand, express and work through your emotions are building an emotionally secure child. Such children don’t feel frightened that their parents will mock, humiliate or sneer at them for being upset. Such children can feel confident that they’ll be listened to and treated with compassion and respect. Such parents don’t repress their own emotions to the point of being robotic. Neither do they let their emotions hang out for all to see, unpredictable, tempestuous and upsetting to witness. Effective parenting requires the ability to accept and express emotions and to accept that same thing in their children. If you’re here because you suffered from an emotionally abusive parent you’ll know, perfectly well, how far from this ideal your own experience of childhood was. Emotional abuse is often neglected or under-estimated in its importance. After all, it doesn’t involve paedophilia or leave physical scars. However, there is an enormous and growing body of research which shows that emotional abuse is as severe in its effects as any other. Perhaps you have somebody young in your life, a child, a niece or nephew. Perhaps you can imagine how they would be affected if they were treated in the same way you were. It doesn’t seem so trivial now, does it? They’d be badly affected and you’d have a lot more compassion for them than you presently manage to scrape together for yourself. Well, you deserve as much compassion, acceptance and love as any child you know. You deserved it back then and you still deserve it now. Sue Gerhardt wrote a wonderful book on this topic – ‘Why Love Matters’. She explains that the infant brain is shaped – physically shaped – by our earliest experiences. If the baby grows up feeling loved and secure then all is likely to go well. If, however, the child feels insecure in relation to his or her parents then the damage to that child’s emotional development can be immense. Don’t worry, however, because hypnotherapy could help you to reverse that process. Hypnotherapy can help you to deal with those experiences and lay them to rest. 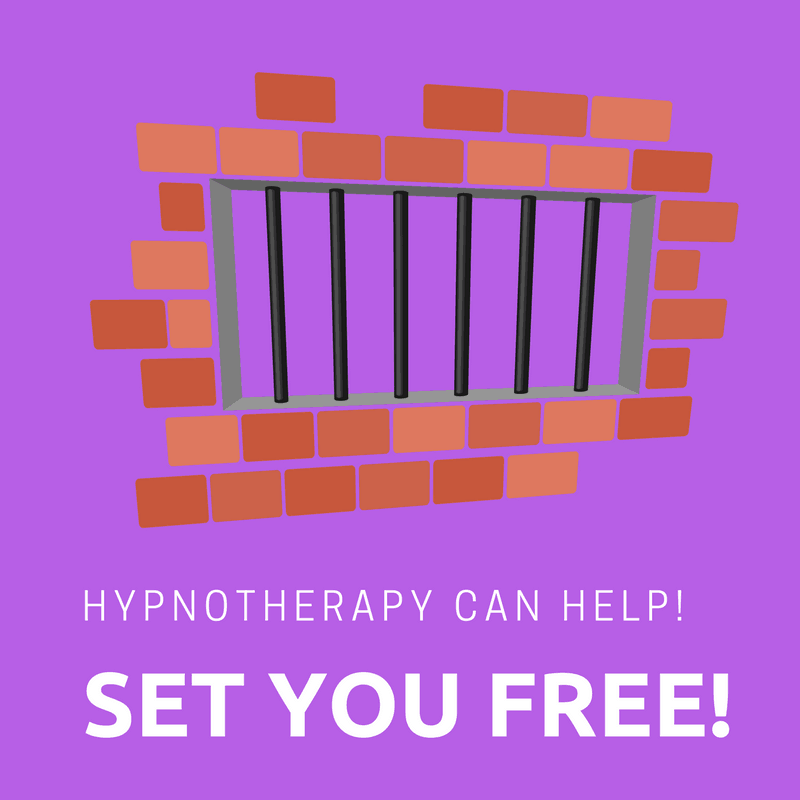 Hypnotherapy could help you to be free and content in your own skin. I trained for four years in order to be able to provide my clients with the best possible therapy. If you’re looking for a hypnotherapist then please give me a call. I’ll be glad to talk with you and to answer your questions. You’ll be amazed at how far you can learn to let go of that unhappy childhood. You’ll be pleased to see how much more confidence, happiness and inner-peace you can develop. It’s amazing, sometimes, how unaware people can be of the impact their pasts have had upon them. Oh, it was ‘great’ was it? It’s amazing how the human brain can minimise such things. If you, dear reader, have children I’ll ask you to imagine how happy they would be if you beat them up, shouted at them for random and unpredictable reasons on a constant basis, told them they were no good, not as pretty as a sister, fat, never going to achieve etc etc etc. Clients with this background turn up all the time, decades later, wondering why they feel constantly anxious, full of anger, depressed or suchlike. Children who grow up in such atmospheres become experts at not feeling. They put the abusive parent in a psychological box and build their lives as best they can, developing an emotional callous to pain. Generally speaking they achieve very well. Did your childhood drive you to become a high achiever? 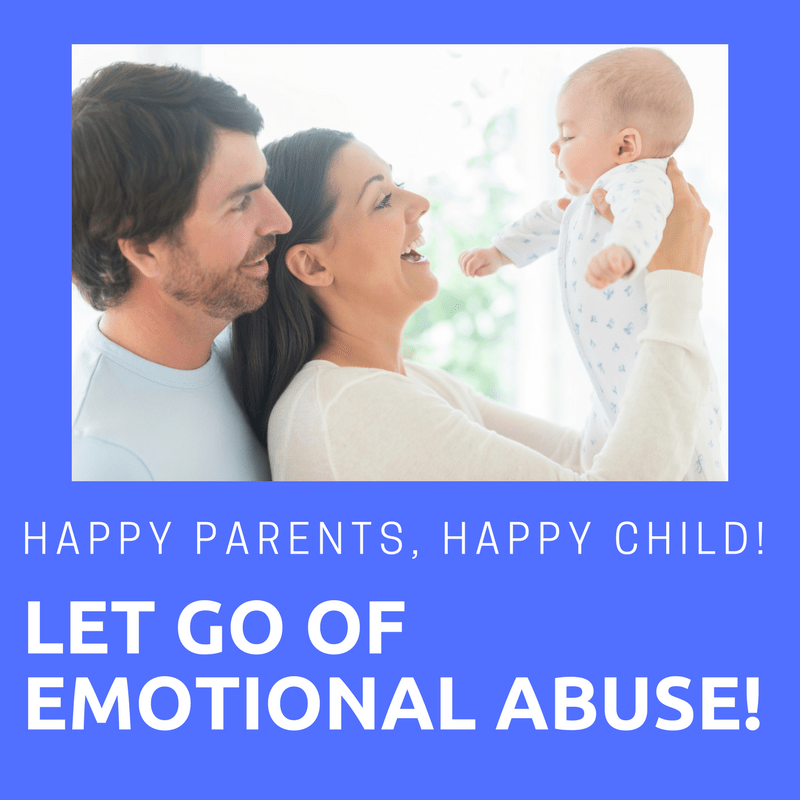 Children of abusive parents are often high achievers, since the child establishes a habit of working hard in order to prove themselves – both to the parent and then to themselves. It rarely seems to work, however. Achievements never fill that leaky bucket of our self-esteem. The child becomes an adult and maintains these childhood defences. Anxiety and anger are ignored as a solid front of pretend confidence is erected in order to hide the lack of confidence within. 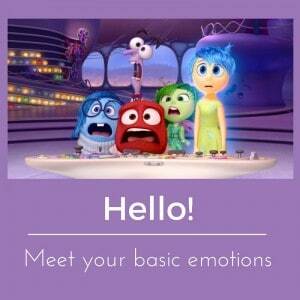 Feelings fester until depression, panic attacks, rages, alcohol abuse or some other problem makes itself known. The walls behind which the wounded child has hidden begin to crumble, relationships and careers are threatened and the adult child finally seeks help. Hypnotherapy could help you to learn better ways of dealing with your feelings, letting go of the past and building a better future. 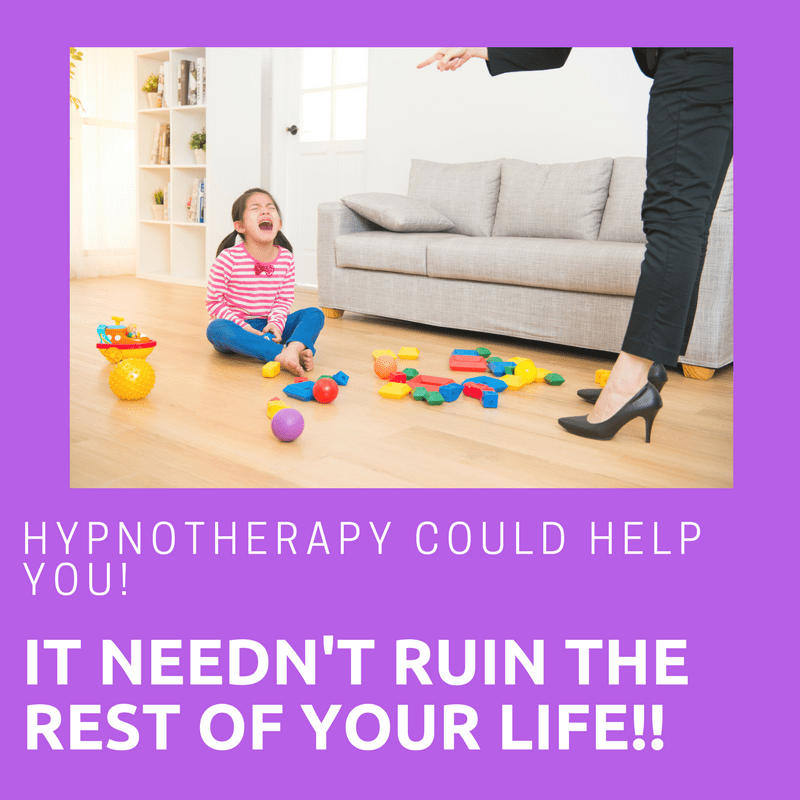 Hypnotherapy, mixed with psychotherapy, can help to undo the damage you suffered as a child. It can begin to help you to unravel all those years of low self-esteem. It can build self-acceptance and compassion. It can help you to realise that the past was important but does not have to shape your present and future. Many of my clients began to learn to hate themselves in childhood. I ask you, picture any five year old you know. See how small they are, sense how weak they are, understand how innocent they are and find it in your heart to call them ‘bastards, wankers, pathetic, idiots, arseholes, stupid or wastes of space’. My clients are perfectly happy to call themselves such names and yet, if their problems began in childhood, they are – in effect – insulting their own younger selves – those younger selves who began to learn to see themselves as being deserving of hate and disdain. No child deserves such treatment. You didn’t either. I’ll help you to believe this in the very depths of your unconscious mind. I teach my clients to understand that their own younger selves live on, within them. In teaching them to show compassion to their younger selves I help my clients to forgive themselves, the adult inheritors of emotions, thought-processes and beliefs carried forwards in time. Learn to love your inner child, learn to love yourself. I have helped lots of people across Reading, Thame, London (Holborn), Wallingford and Oxford to let go of the past, to shape new images of their own selves and to move forwards into brighter and better futures. I could help you to do so too. Resolved! 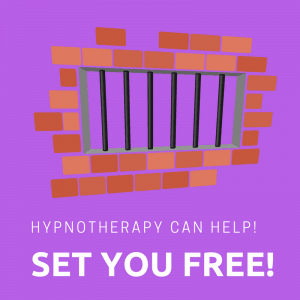 Hypnotherapy operates in Reading, Wallingford and Oxford, also seeing clients from Didcot, Cholsey, Moulsford, Abingdon, Henley, Benson, Nettlebed, Crowmarsh Gifford, Wheatley, Thame, Long Crendon, Haddenham, Chinnor and other areas of Oxfordshire and Berkshire. Hypnotherapy, in the hands of a skilled and ethical hypnotherapist, can help you to make big and lasting changes to your life.